Paddleboarding is a good way to exercise. People exercising is a reason why Hawaii is the healthiest state. Ever consider what it would be like to live where other people go on vacation? With its beautiful beaches. verdant landscapes and temperate weather, Hawaii can be a healthy place to live. Here is America’s Health Rankings with reasons why Hawaii is the healthiest state in America. A study in 2015 showed that only 17% of those living in Hawaii are active smokers. This only marginally lower than the percentage of people who smoke in all of America at nearly 18%. But in the last two years, there has been over a 21% decrease of smoking in Hawaii. This could be a reason why Hawaii also has the lowest number of cancer-related deaths in the country. Hawaii’s obesity rate, considering anyone with a body mass index of 30% or higher, is around 22%. On the other hand, the rest of US averages around 30% of the population. Interestingly, obesity is often linked to depression. Since Hawaii has a lower obesity rate, it’s not surprising depression levels are also lower in Hawaii than other states. Only 5.9% of Hawaii’s population has been clinically diagnosed with depression. 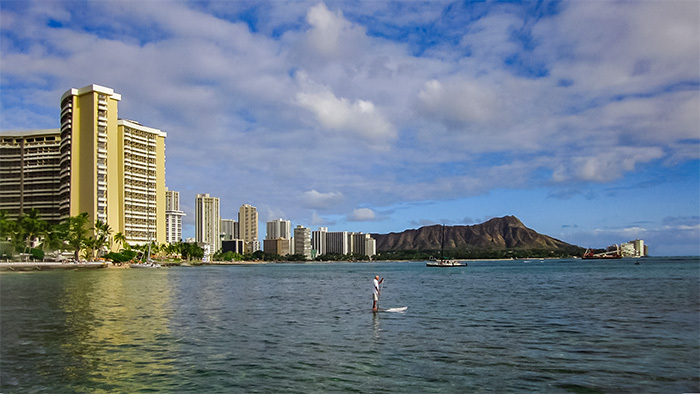 Most people are drawn to the active lifestyle that the residents of Hawaii enjoy. Only a relative small 19% of Hawaii’s residents claim to have no physical activity outside of their work. Whereas in other states, like Mississippi, over 30% of people do exercise daily . 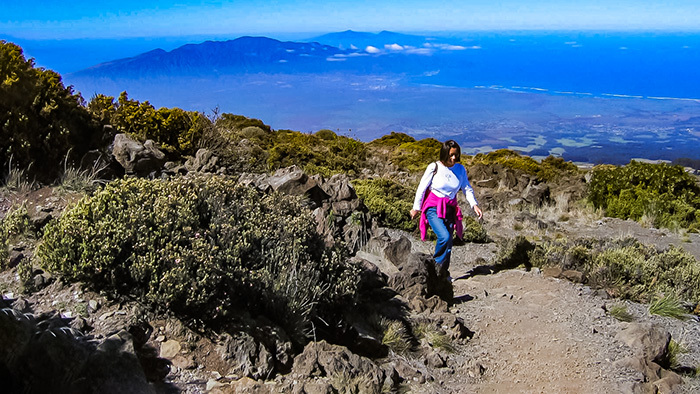 There is no limit to the hiking trails in Hawaii. From stair-step trails to those off the beaten path, there are walks through waterfalls, state parks, mountains and more. Not only do they strengthen the body, they also offer peaceful vistas which foster mental health. 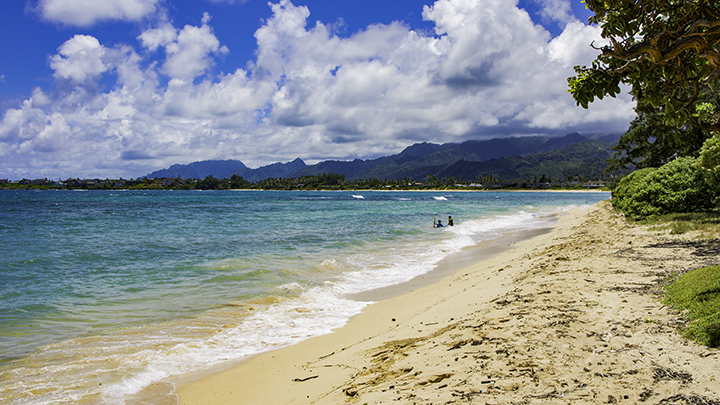 It is difficult to find a person who does not like Hawaii’s colorful beaches. Studies prove that looking at the ocean greatly reduces stress. They also show regularly spending time by the ocean has a positive effect on the brain. Not only that, but simply being in the ocean can produce benefits. For example, salt water when ingested in small amounts, can stabilize blood pressure and reduce appetite. Smelling salt water alleviates viral infections, bronchitis, sinus pain and congestion. Swimming in the ocean is cleansing to blemishes and is also an excellent cardio workout. It helps to strengthen and sooth weak joints. For many reasons, living near the ocean helps humans thrive. The aloha spirit is a part of welcoming strangers, showing hospitality, love and friendliness to others. Because of its diverse population, for the most part, there is an agreeable and tolerant vibe in Hawaii. With its more gentle pace, residents of the Hawaiian Islands tend to be physically and emotionally healthier than elsewhere. This could be the true reason why Hawaii is the healthiest state.